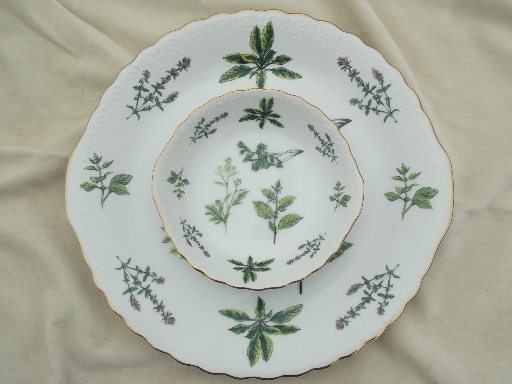 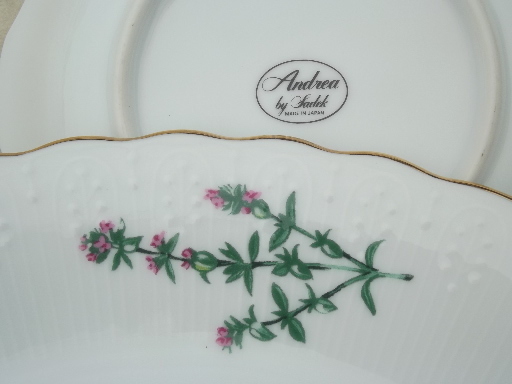 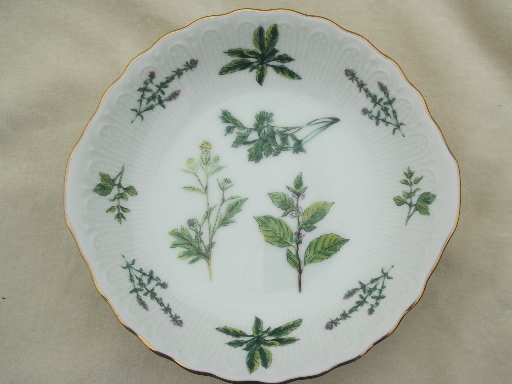 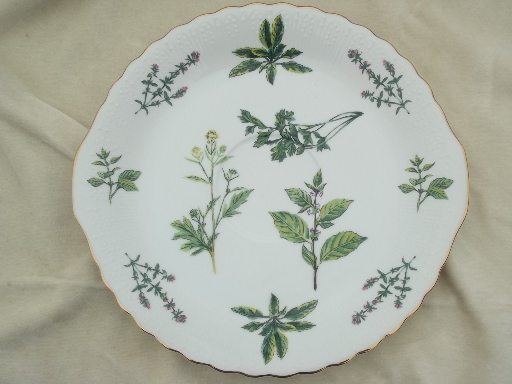 Vintage Sadek - Japan china plate and bowl serving set in the green herb pattern on white. 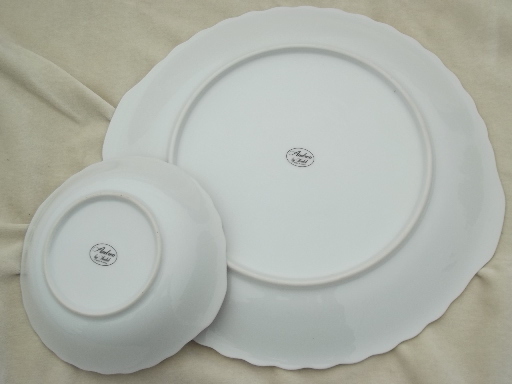 The plate is 11" across the handles, and the center bowl is 5 3/4" in diameter. 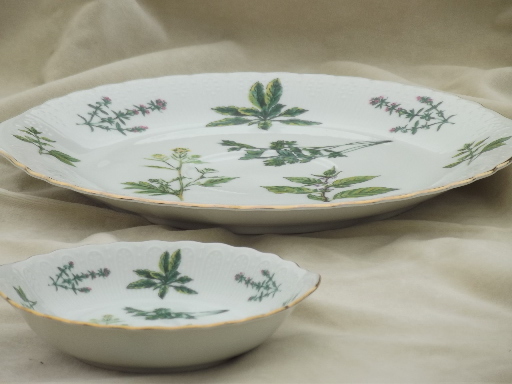 Both pieces are in excellent condition without damage.